Canada’s privacy commissioner and chief electoral officer have issued guidelines intended to help federal political parties develop legally required privacy policies in advance of the next federal election. On Monday, Privacy Commissioner Daniel Therrien and Chief Electoral Officer Stéphane Perrault released a set of guidelines to help prevent federal political parties from running afoul of privacy laws when gathering the personal information of Canadians. “It’s about trust, how you use the data that you collect,” Perrault said in an interview with CBC News Network’s Power & Politics. No federal privacy laws currently govern how federal parties collect Canadians’ personal data and what they do with it. Recent changes to the Canada Elections Act, which come into force Monday, require political parties to develop their own privacy policies, publish them online and submit them to Elections Canada by July 1. Be transparent about what peoples’ information will be used for, whether it will be shared with others and for what purpose. Obtain meaningful consent to collect, use and share that information. Give people access to their information and the opportunity to correct it. Keep personal information only as long as is necessary — then destroy it. “It does not provide a minimal standard or any particular rule of conduct for these areas of protection,” Perrault told host Vassy Kapelos. Privacy concerns were raised in recent days by the federal Conservative Party’s program of sending unsolicited blanket text messages attacking the federal carbon tax to Canadians in New Brunswick, Ontario, Manitoba and Saskatchewan, where the tax is being imposed. 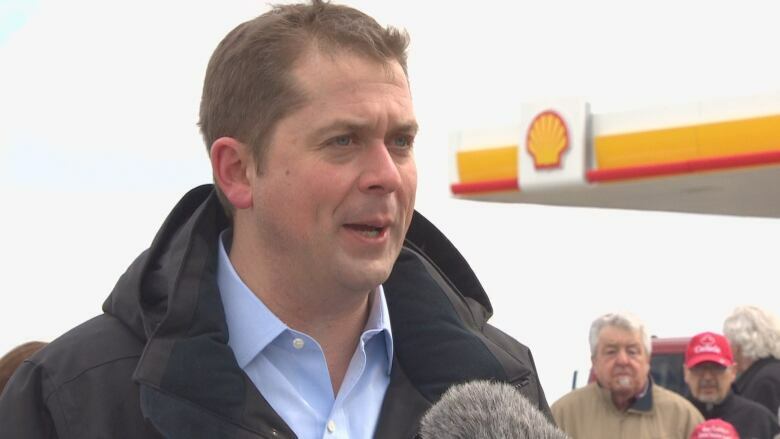 Speaking to reporters in New Brunswick Monday, Conservative Leader Andrew Scheer called the mass texting an innovative way to reach Canadians. Therrien has long pushed for stronger privacy legislation that would apply to political parties. The Liberal government’s bill to reform the Canada Elections Act, C-76, requires parties to develop privacy rules, but without an oversight mechanism — a change the privacy commissioner sees as inadequate. “The law that was adopted is insufficient to protect privacy because although the law requires policies to be developed and that address certain topics, there’s no content requirement,” he said in an interview with CBC’sPower and Politics. However, it was not part of the amendments to Bill C-76, he said. If his suggestions are not implemented, Perrault said the main consequence would be political. “It’s about trust that their supporters have,” he said. “There are no legal consequences for not abiding by the guidance that we’re providing,” Therrien said.